Book Your Fall Getaway Before It’s Too Late! There’s nothing like the anticipation of Minnesota’s most colorful season, especially along our beautiful state’s North Shore! Even hints of fall’s arrival sparked a flurry of excitement with outtakes and snaps of beautiful leaves appearing in social media. In fact, the Department of Natural Resources ramps up it Fall Color Finder offering regular updates on where to get a peek at the season’s peak hues in gold, orange, cinnamon, crimson and yellow. The depth of autumn’s beauty along the Lake Superior Arrowhead region in and around Lutsen is quite spectacular. The best time to spot the changing leaves is between mid-September and mid-October, so this past Saturday, my husband Eric and I decided to do some early color chasing. We were pleasantly surprised (er, ok…I was giddy) to discover so much beautiful foliage! Here are a few highlights of our adventures and a recommended trek to catch a kaleidoscope of autumn shades along the horizon at Lutsen’s Caribou Lake. Seeking a new perspective, we wanted to tackle a nearby overlook offering a birds-eye vista of mid-September leaves. As a family, we hiked White Sky Rock several years ago but that was during the springtime. This in-and-out section of the Superior Hiking Trail overlooks nearby Caribou Lake. From Caribou Highlands, it’s about a 10- to 15-minute drive. Easy access to the spur trail is just off Highway 61, four miles north along the Caribou Trail (Highway 4). You’ll find ample parking on the corner of Caribou Trail and White Sky. As we started on our way, we were very hopeful given the immediate hints of color along the roadway. The trail is rather steep, and it was muddy after the previous day’s rain, so we were glad we wore our hiking shoes. The pathway was well-marked, nicely groomed and features manageable terrain for beginning enthusiasts and younger hikers. As we ascended, the forest was so saturated with colors given the damp weather. And, the air was cool, perfect for outdoor exploring. You can see, we were surrounded by greens, but plenty of colorful leaves were beginning to reveal their magic. I can only imagine how the trail has transformed this week! I’m guessing the trek would take about 10 minutes for your average Joe or Jane hiker. But, for a shutterbug like me, it took a generous 20 minutes 😊 Fortunately, Eric is quite patient. The White Sky Rock view was fantastic – truly taking our breath away. A low fog hung over the treetops in certain points, but the leaves were rich with color, with a stretch of deep crimson along the farthest ridge. After gathering quite a few photos, we met a few other adventurers and began our descent. Mission accomplished – colors spotted! After a quick lunch at the Blue Water Cafe in Grand Marais, we decided to explore some of Cook County’s winding inland roadways. I should clarify…Eric drove, and I frequently jumped out of the car to capture photos. See below ↓ for our favorite outtakes: Near Devil’s Track Lake, Near Pike Lake Road, and Along Highway 7, North of Cascade Falls. If you really want to get into the nitty-gritty and geek out over why the leaves change, check out this scientific description. Then, impress your friends! If you’re planning a North Shore getaway, Caribou Highlands is a great place to stay with something for everyone. Watch the color unfold over Lutsen Mountains or there are plenty of great trails in the vicinity. Seeking adventure while mindfully appreciating the wonder-filled moments that surround us every day. 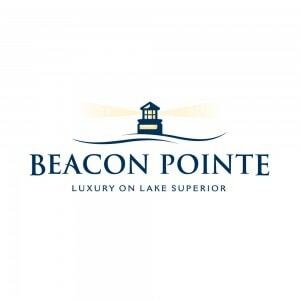 We have a small condo near Lutsen, MN, along the North Shore of majestic Lake Superior. I’ve tried to capture memories of our year-round family trips, which I’m thrilled to share here. I love to write, snap pics, travel, ski, try new recipes, hike, work-out, watch movies and sip on red wine.